Boo: who? 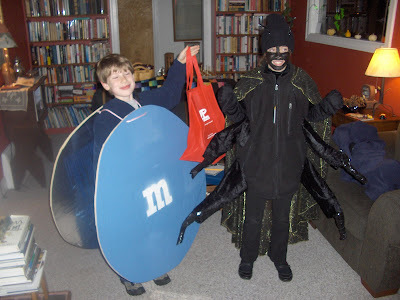 And your favorite Halloween candy is. . .? And something this easy won’t empty your purse. Because now the Neighborhood Phantom is little old YOU! And give to them each a Halloween treat. Of course, seeing as it’s a chain letter, there’s small print. 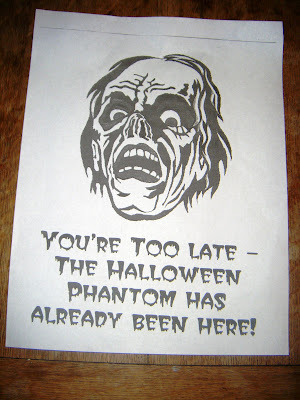 It includes instructions describing how we’re to make three copies each of the letter and the “Phantom Ghost.” And that we must then post the Phantom on our door or window till Halloween to ward off his return. 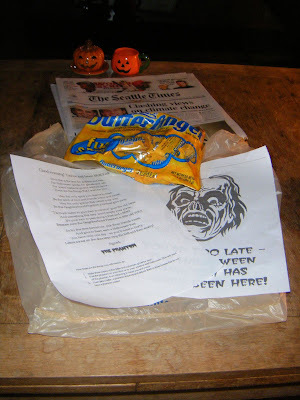 Then, by “this time tomorrow” we’re required to take letter, Lon, Jr. and a treat and deliver them to three neighbors, spreading the (Almond) Joy as the case may be. 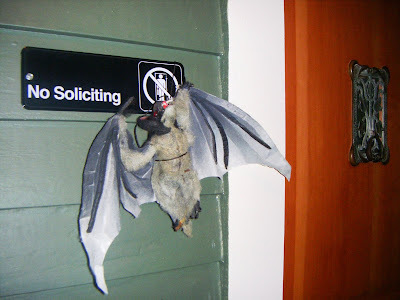 Whatsamatter with my neighbors? Can’t they read? 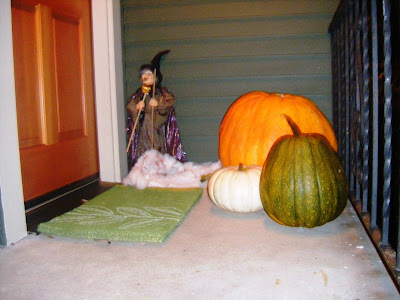 Or is it just that my house looks so very inviting this time of year? 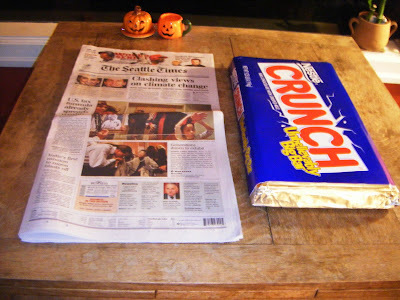 Or perhaps whoever left that bag ‘o Butterfingers is just praying I’ll show up at his/her door on All Hallows Eve with my prized Halloween-prop: a 9.25-pound Nestle Crunch bar. Wake up and smell the witch’s brew, you chain-chain-chain fool! There’s no way I’m exchanging that honker for your “fun size” sweets. 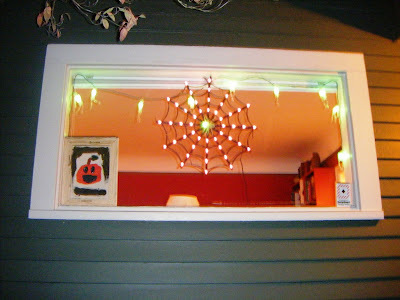 OK, name it: your favorite Halloween candy. Mine? Reese’s Peanut Butter Cups.